We have ten designated grass training areas in Kilbogget Park, as indicated in the graphic above. Please note that training on grass in the park is only allowed in these designated training areas. All shuttles, ladders and goalkeeper work must be off the good grass areas and should take place on rough ground only. The above graphic is also available on the noticeboard in the Clubhouse. 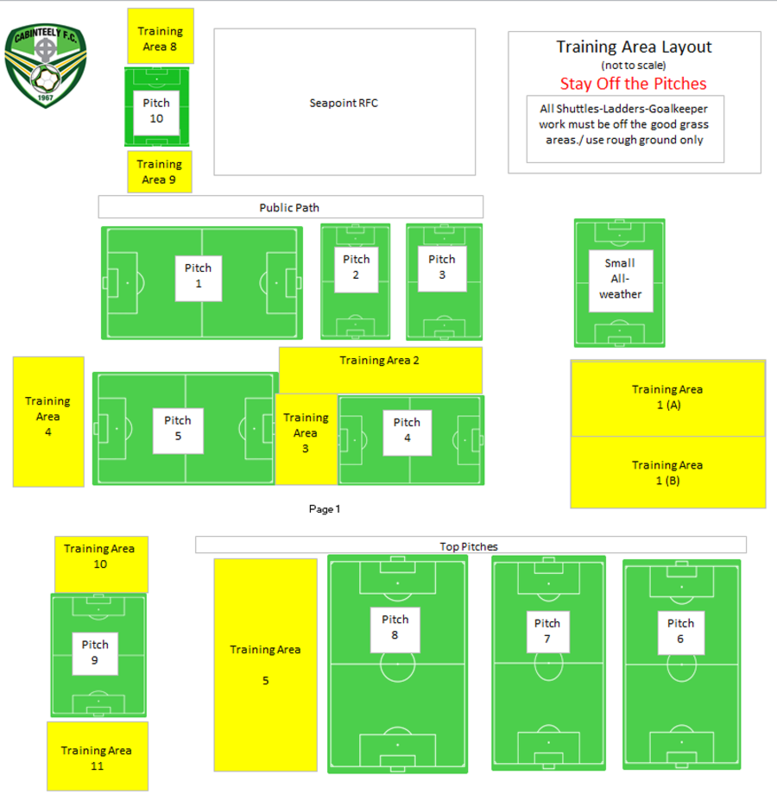 All queries about training areas should be directed to Eoin Keane on 083 434 7019.